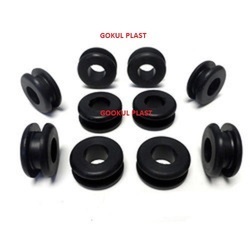 Backed by years of industry experience, we are engaged in offering a premium quality range of Plastic Grommets. The highly experienced team of our company presents Shepard Style Grommet to our clients. This product is manufactured using premium grade raw material that is sourced from trusted and reliable dealers. It is widely used in medical industry to implant the tympanic membrane to drain and temporarily aerate the tympanic cavity. Additionally, it is presented at the best rates in the industry. We are offering PVC Grommets which are designed to protect wires and cables when passing through panel. Made from Black PV, these are available to our clients in different sizes and shapes. Our easy to install grommets are tested stringently on various parameters before being supplied to the clients. 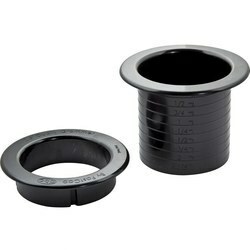 We have emerged as one of the leading traders, importers and suppliers of a qualitative range of Grommets. These grommets are manufactured by our vendors using premium quality raw material in conformity with the international standards. With an objective to fulfill the ever-evolving demands of our clients, we are engaged in offering a wide assortment of Plastic Drip Irrigation Grommets.